well after every meal. 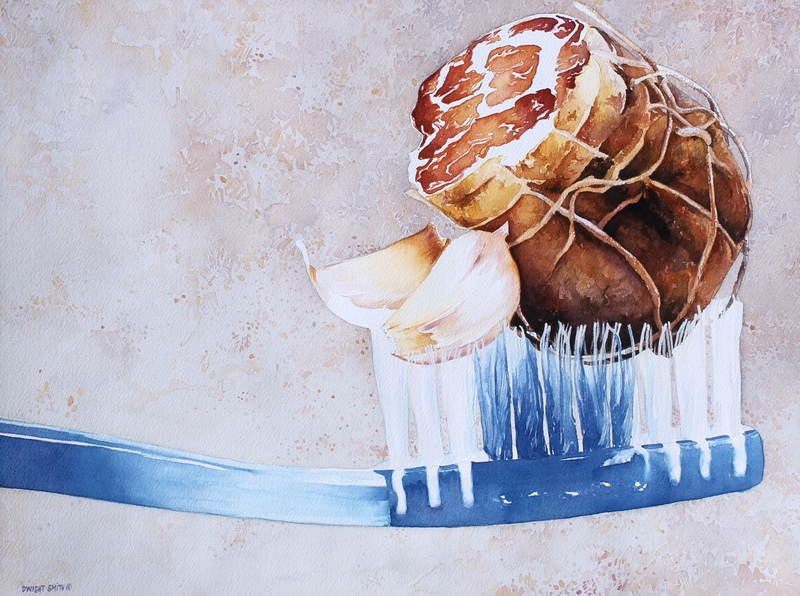 This modern art still life contains a huge blue tooth brush with garlic and dried meat stuck in the bristles. This watercolor is available at UGallery.com.